The steady increase in riders choosing to take their bike abroad for a holiday can be seen by the growth in the number of companies offering motorcycle based touring holidays. For many this can be an easy step in to riding abroad, with travel and hotel arrangements all looked after, easing the linguistic problems of dealing with those strange folk the other side of the channel. Another option taken by 100 or more British riders each year is to take part in one of the FIM touring rallies. The FIM, the international governing body of motorcycling, franchises two touring rallies every year, the "FIM Rally" and "Motocamp", each being organised in a different country each year. This allows touring riders from many nations to tour to a different location each year whilst knowing that the event will follow a set format when they reach their destination with FIM representatives overseeing proceedings. The two rallies follow slightly different formats, with the FIM Rally catering for both campers and those who prefer to stay in a hotel, whilst the Motocamp, as the name suggests, is restricted to those who bring their own tent. 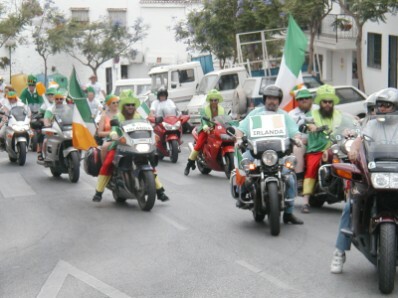 Each event normally covers four days during which period participants stay on or near the rally site in accommodation arranged by the organisers. Breakfast, lunch and dinner are included in the rally fee as are a programme excursions and entertainment each evening. Main meals are normally taken at tables in a large hall, which is also used for the evening entertainment programme. Often the organisers will open facilities a day or two before the event officially starts, allowing riders to stay on site and explore the area before the rally gets underway. Modern touring machines may predominate at these events, but the attitude is very much anything goes; sports bikes, scooters and even classic bikes from the '60s and earlier are all seen regularly. There's even a prize for the nation with the best turnout of the older machines. 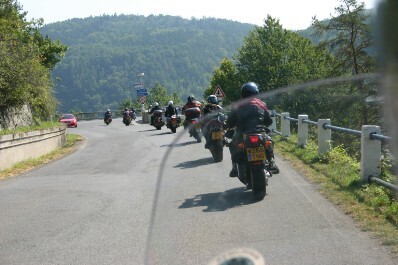 In recent years these events have taken riders to countries as diverse as Germany, Croatia, Spain, Greece, The Netherlands, Estonia and the Czech Republic, quite a variety in directions to tour in whilst also giving the opportunity to visit the cities of Berlin, Prague, Athens and Tallinn, amongst others. This year the variety continues with the FIM Rally taking place in the Lithuania and there will also be a programme of optional excursions for early arrivals. Two other events also take place internationally - the Meritum Rendezvous and the new Mototour. 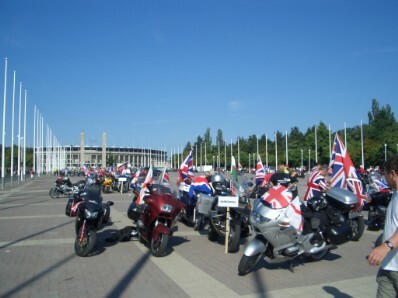 The Meritum event is traditionally held just before the FIM Rally each year and is open to holders of the Meritum award who have attended at least five previous events and is intended as a gathering of old friends from different countries on their way to the FIM Rally. Guests are welcome too. The Mototour is a new event, touring around a different country or countries, with hotels and dinners arranged at different locations every night.